PRESSURE WASHER PRODUCTS OFFERS BOTH DIRECT DRIVE AND BELT DRIVEN PUMPS BY ALL MAJOR MANUFACTURERS. WE CAN ALSO IDENTIFY PUMPS THAT HAVE BEEN PRIVATE LABELLED. IF YOU ARE LOOKING FOR TECHNICAL ASSISTANCE OVER THE PHONE, PLEASE CALL REX, THE PUMP GURU, AT (800) 519-9279 OR (727) 562-5488. 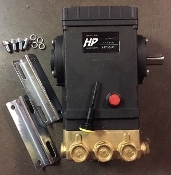 WE CAN ALSO IDENTIFY PRIVATELY LABELLED PUMPS TO HELP YOU FIND THE CORRECT REPAIR PARTS.